Speaking from experience, improvising on stage to a roomful of people can be a completely exhilarating experience while for some, a completely petrifying one. There is no script, no director and no safety net. You are literally in the moment and have nothing to work with except your fellow improvisers and your imagination. 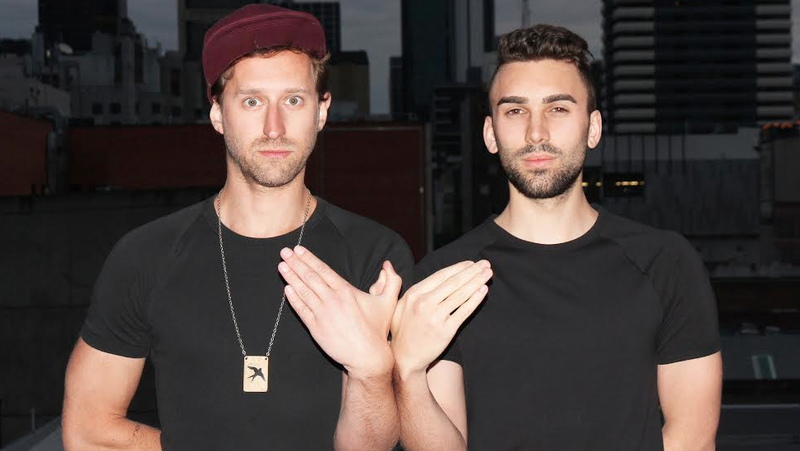 Retuning to Melbourne Fringe this year with their own brand of impro humour and style are Andy Balloch and Marcus Willis, aka. The Sparrow Men. The Sparrow Men have no sets, no props, save for two or three black chairs, and have only a suggestion from the audience to begin their shows. "Because each show is entirely unique, we approach each one differently. We don't really have a "framework" that we use to guide us through. However, we generally assume everything is happening in the same world," Balloch says. "At the heart of it, Marcus and I just listen really hard to each other and pay attention as best we can. We've run scenes in the dark to help us listen to each other, trailed different ways to create and endow characters and practiced running longer scenes." Having trained at the world famous iO Theatre in Chicago, where the likes of Mike Myers, Tina Fey and Amy Poehler have studied and performed, The Sparrow Men shows fluctuate between comedic, sentimental, light hearted and the dramatic with always an emphasis on having fun. "Improvising is one of the things Marcus and I enjoy doing more than anything else, so it's a genuine pleasure for us to be able to perform to an audience, and we're extremely grateful for that," Balloch explains. I've heard people comment on the fact they don't like impro and genuinely avoid it like it's the plague, with Balloch having heard similar opinions. "Impro is an interesting beast to sell. No one ever sees an average stand up show and says, "I've seen some stand up before, I don't really like comedy". No one ever sees a bad movie and says, "oh I saw Crossroads when I was younger, I'm not really a fan of kinetic visuals that have been recorded". But for some reason, if people have ever seen a rough impro show they turn around and say "I don't like impro". Not just that particular show. Not just that particular style of show, but the ENTIRE CONCEPT of improvisation, which is INSANE!" "So if you like the sound of a totally improvised play, by two dead set spunks, you should totally buy tickets to The Sparrow Men," Balloch laughs. "We want people to walk away from our shows having felt part of the creation of something that was just for them, and we want them to say, "that was a good show. I like impro." Venue: The Trades Hall, Crn Lygon & Victoria St, Melbourne, 3000.